Rudy leads the company’s activities in Flavors and Nutrition. Prior to joining Chromocell in March 2011, Rudy was Vice President Global Research & Technology at The Coca-Cola Company. 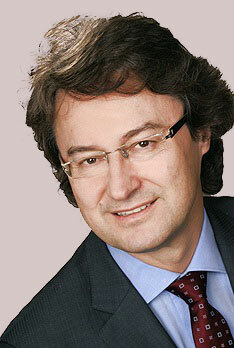 Previously, he was Senior Director Global Ingredient & Process Research at Kraft Foods. Rudy started his career as head of Product Development at Riemerschmid Corporation, a privately owned alcoholic beverage and fruit juice manufacturer based in Munich. Rudy has been a successful senior leader of research in the global food and beverage industry for more than 25 years. His experience spans a wide range of product categories and addresses Flavor & Ingredient Research, Nutrition, Fermentation, Process Research as well as support functions such as Analytical Science and Microbiology. Rudy has a proven track record of defining, leading and managing research organizations across multiple sites in both the United States and Europe. He built and transformed strategic ingredient research functions by effectively leveraging open innovation efforts based on targeted technology scouting and focused on collaboration and alliances with appropriate external partners. Rudy received a B.S. and M.S degree in Biochemistry & Food Chemistry and earned a Ph.D. in Food Chemistry from Technical University Munich.